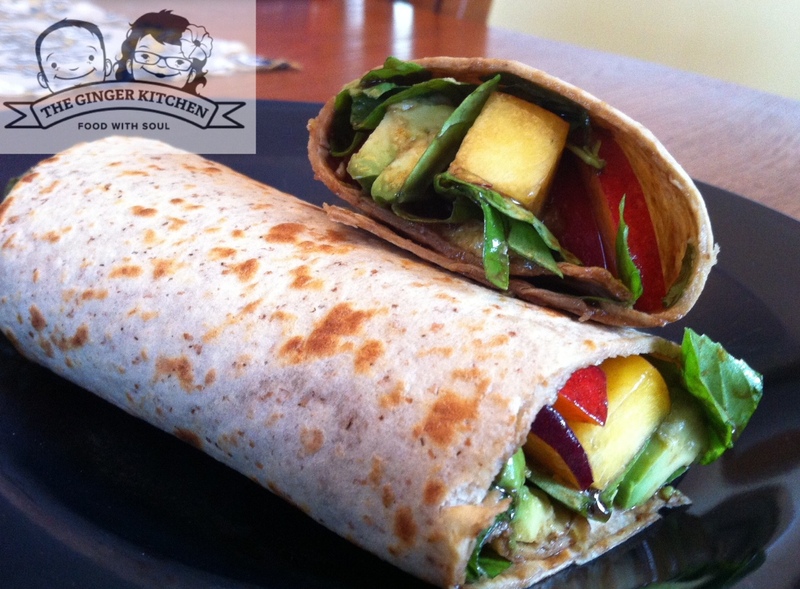 Sticking with our vegetarian trend, I whipped up these yummy wraps last weekend. The sweet from the peaches, combined with the tangy of the homemade balsamic vinaigrette is outstanding. Add in avocados and fresh basil and this meal was absolutely perfect. It’s super easy too and took under 15 minutes to prepare. In a small bowl, whisk together olive oil, vinegar and dijon mustard. Warm wrap on stove top in a skillet. Toss your peaches and basil with dressing. Fill wrap with peach/basil mixture and avocados. Roll wrap and slice.